I am not much of a blogger, in fact this is my first blog post EVER, but I am willing to give up my status as a “virgin blogger” in the spirit of the upcoming conference. If there were a gene for feminism, I would be absolutely certain that I have it. My earliest memories are constant battles with my mother over being forced to do things because “that is what girls are supposed to do.” I hate dolls, pastel pink dresses, and lacey anklet socks to this day, since they symbolize the gender roles I found so oppressive as a child. I know she meant well, considering it her duty to socialize me properly so that I would fit into the prescription of a “nice girl” that my two sisters found so easy to accept. The more she tried, the wilder I got, and the more I grew to resent ridiculous cultural boundaries, some fifty years ago, that kept me from doing things I wanted to do. When she told me “not to beat a boy” on a golf or tennis date because “they would never want to marry me,” I thought she was crazy. I have never been able to understand how a well-educated woman who majored in mathematics at a very prestigious college could wonder, “Why you girls insist on over-educating yourselves?” when my sisters and I went to graduate school leading to two MBAs and a PhD. My wonderful father, who came from a much less-privileged childhood, was tremendously proud of us and always defended my right to grow into whatever I wanted to be. I hate dolls, pastel pink dresses, and lacey anklet socks to this day, since they symbolize the gender roles I found so oppressive as a child. I learned the word intersectionality twenty years after I had completed that research on racism and sexism in the natural sciences, but I had always said that the most profound conclusion I could make from the study was that Women of Color are treated worst, because these forms of discrimination are compounded when they both come into play. I had learned why my mother had pushed me to be compliant when I was punished in subtle ways for being smarter or a better athlete than males. However, more importantly, I consider what racism continues to do to African Americans is much crueler than the gendered discrimination I had experienced. I teach in a Biology department and trying to get white men to recognize the stubborn persistence of sexism in a department that is 50% women is almost a waste of time. Therefore, I devote most of my energy to challenging racism and other discrimination because nobody can dismiss that diversity work as being in my own self-interest. As a white woman, people listen when I speak about scientific racism and “race” being nothing more than a cultural artifact. As a scientist who studied reproductive physiology, I get plenty of respect when I challenge heterosexism within the complexity the influences of nature and nurture on human sexuality. Finally, with the academic freedom we have in the USA, I can teach biology in a deliberate manner to promote social justice as long as what I say is scientifically legitimate. 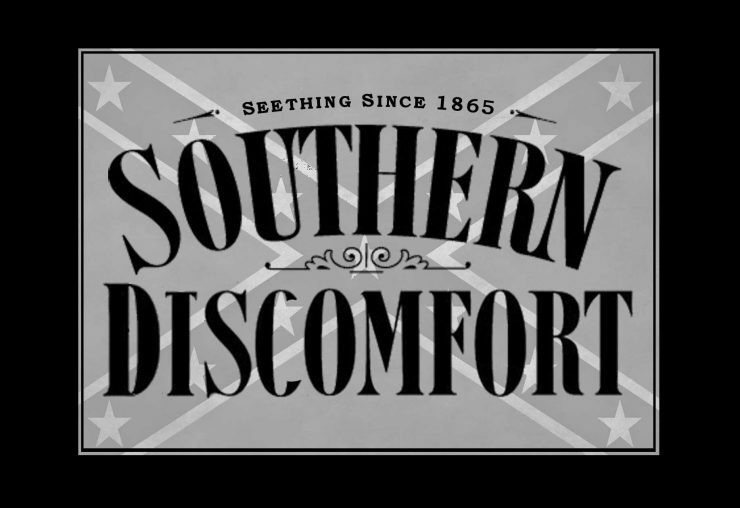 I wanted to share the link to a film that my friend and former colleague just released, Southern Discomfort (2017) because it sets the backdrop for the talk I will be giving at the conference. This is shocking, but no exaggeration. If anyone has any requests for American things you would like me to take over to the UK, I should have room in my suitcase. Sweets? or any foods you can’t get easily even with the web? I am going to take some candy-covered pecans to pass around because they are the big treat from my current home in Georgia. I know I am going to be on a search for a special English hard candy that is honey-flavored and has very tart lemon powder inside. See You Soon – I am psyched to visit England again!